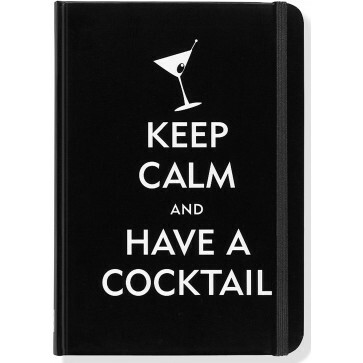 Fun Keep Calm and Have a Cocktail Journal makes a great gift for yourself or a love one! Provides: 160 pages of lightly lined, acid-free, archival-quality paper for journaling, sketching, and writing down favorite quotations, poems, etc. ; popular small-format size (5'' x 7'') that fits easily in backpacks, tote bags, and most purses; a coordinating elastic band place holder that helps you keep your place; a handy inside back cover pocket for notes, business cards, receipts, etc. The ''Keep Calm'' based on a motivational WWII poster commissioned by the British government's Ministry of Information in 1939. 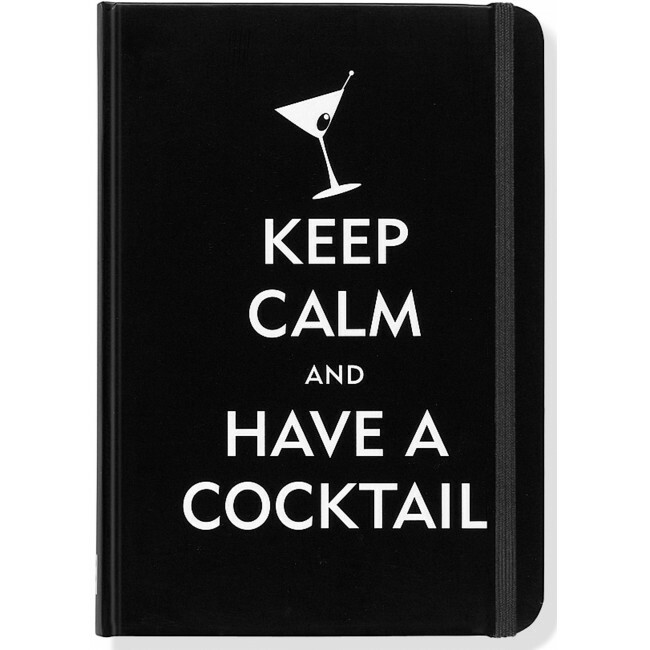 Hardcover journal features a black background with white slogan and martini glass design, embossed and accented with glossy highlights.